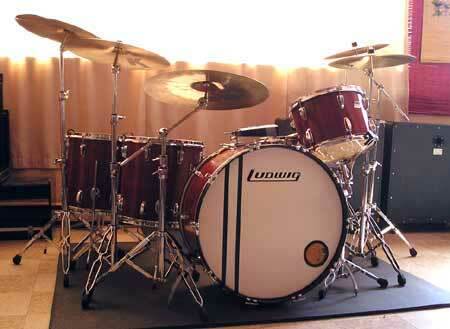 Some pics of my vintage 1979 cherry maple Ludwig. 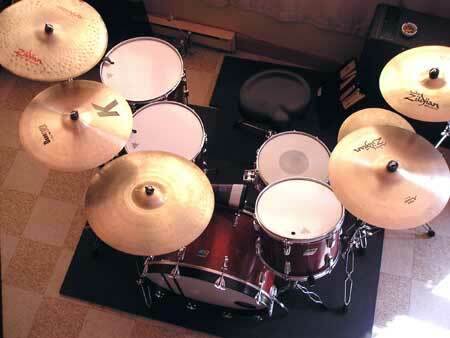 The setup is: Bass drum 26" x 14", rack tom 14" x 10", floor tom 16"x 16", second floor tom 18" x 16". The snare is a super-sensitive Ludwig Black Beauty 14" x 6.5" 1980. 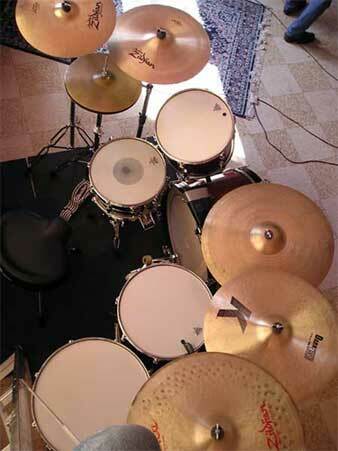 My cymbals are all Zildjian: Hi-hat 14" Avedis vintage series, 1 Avedis thin-crash 16", 1 Avedis 18" thin-crash, 1 Avedis 22" medium-ride, 1 K serie 19" thin-crash and finally an "EXPLOSIVE" 20" Crash of Doom. The toms heads are on top; Remo Emperor smooth white and Remo clear ambassador at bottom. On bass drum i use on batter side a Remo Weather king bass power stroke 3 coated and on front a Remo Ambassador smooth white with a 4" hole. 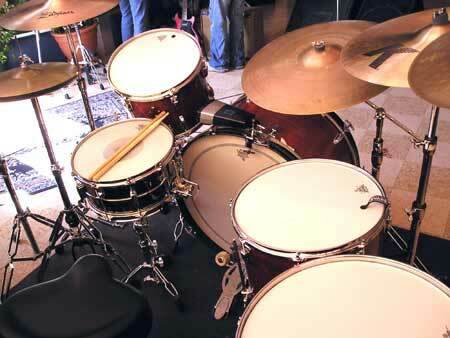 For the snare i prefer a Remo CF Controler Sound. My bass drum pedal is an old Ludwig Speed King from the 60's. All my hardware is Gibraltar Rock Series. 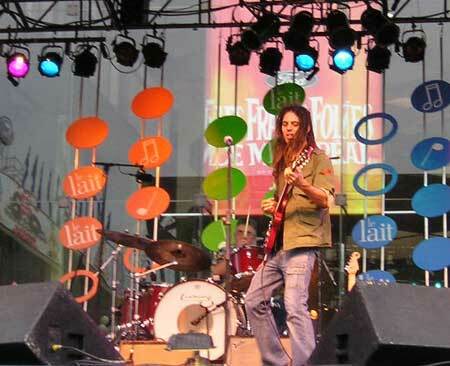 I included a pic of me and my "baby" playing live this summer (2004) with Canadian artist Steeve Thomas.